Summers in Kyoto are hot so here are five exceptionally cool Japanese sweets! 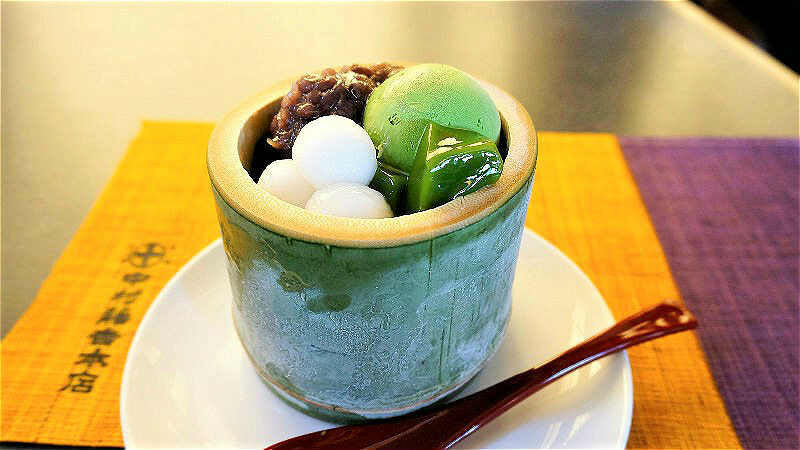 The desserts of Kyoto are not only refreshing; they’re also the perfect thing to cool you down on a hot summer’s day! If you have come to Kyoto in the summertime, you have already experienced the relentless heat here! Kyoto’s summers are hot enough to melt you. But luckily Japanese artisanal chefs are here to help you with their refreshingly cool creations such as parfaits and sundaes. So if you come to Kyoto, be sure to check out these sweets, some of them only available in summer! Toraya-Karyo is a sweets shop close to the Kyoto Imperial Palace founded in the Muromachi period, and their sweets are enjoyed by the imperial family too. The shop is in a Kyoto-style machiya townhouse, but there is also something western in the way it’s renovated. 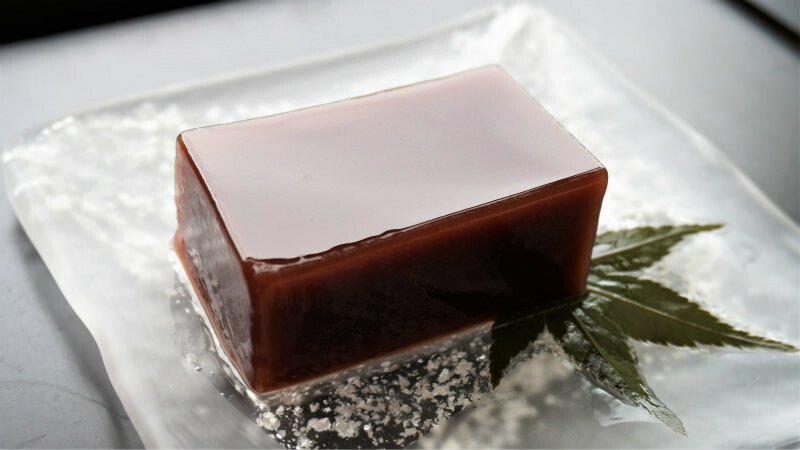 The refreshing yokan sweets are made of red beans, and they’re also what Toraya-Karyo is famous for. The fragrance of the red beans fits summer very well! Kanshundo is a sweets shop close to Kiyomizu Temple that has a long history behind it. This traditional sweet, waka-ayu, may not be the most glamorous-looking one, but it’s still a summer treat worth having. 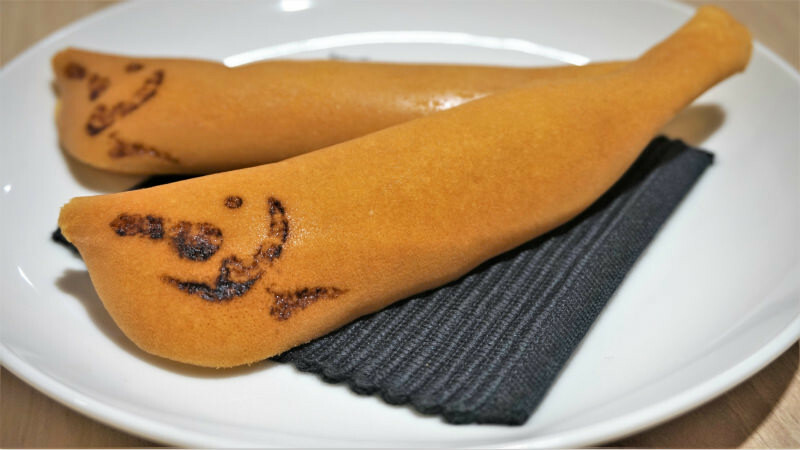 Ayu is a river fish that can only be had for a short period of time in summer, but you can also enjoy it as a sweet pastry filled with gyuhi (soft mochi). Kagizen Yoshifusa is one of the most popular traditional Japanese sweets shops in the Gion area, and its kuzukiri sweet noodles are something you have to try at least once, especially if you come to Kyoto in summer. 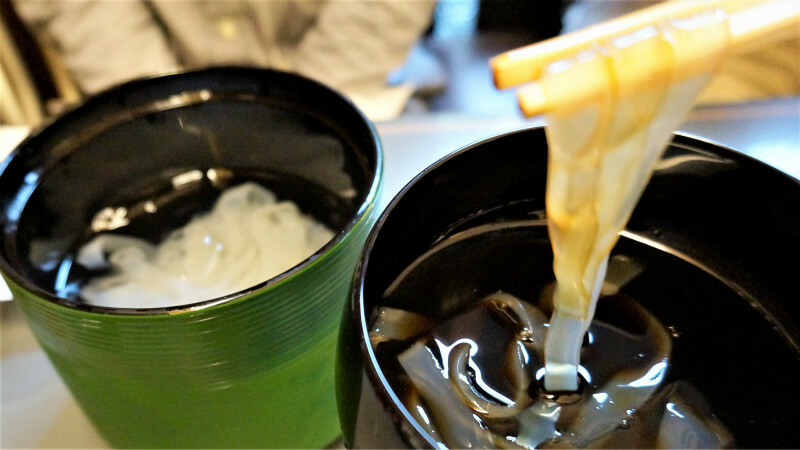 After you try this with the kuromitsu syrup, I’m sure you’ll feel the taste was worth the lining up (which you usually have to do)! 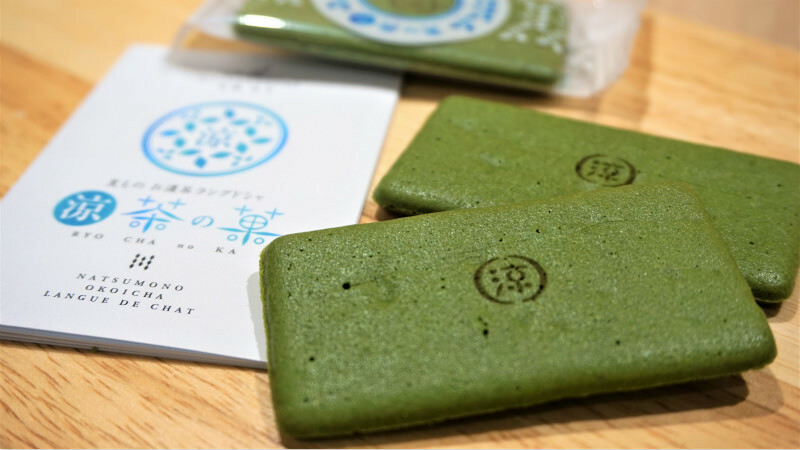 This is a Kyoto-cookie you can only get in summer from the famous chocolate and cookie specialty shop of Malebranche. Unlike their normal Cha no Ka cookies, the Ryo Cha no Ka cookies actually contain the white chocolate which can usually be found between two cookies inside them, and they also have the Japanese character for Ryo on them, meaning cool. The summer-cookies are not as sweet as the normal ones. Nakamura Tokichi Honten is a famous matcha shop in Uji, and they offer a nice parfait-like sweet called Namacha (fresh tea) jelly. This is served in a bamboo container with matcha ice cream. I’m sure you’ll fall in love with the exceptionally nice texture and taste of the jelly! Kyoto can be a bit too hot in summer, but luckily you can get some very refreshing sweets here that help you stay cool. There are many summer specials that are only available in this season, so take advantage of the summer and try the limited editions too! Don’t sweat – have a matcha parfait!